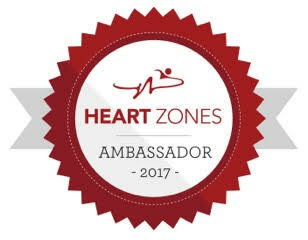 Hey everyone, I am really excited to share an app with you that has been a huge help for my running over the last 6 weeks. Usually, around this time of year, I start to lose my motivation to get out and run. Not because it's the holidays and there are lots of parties, I can usually find the time. But it's usually due to the fact that it's dark and cold and I don't want to get out of my warm bed or do anything once it gets dark at night. 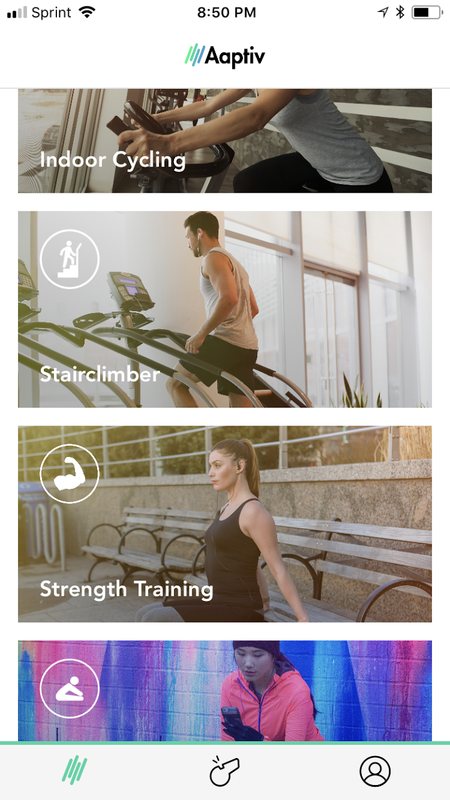 Aaptiv is a workout app that provides a huge variety of workouts. They have strength training, stretching, meditation, elliptical, cycling, maternity, core workouts and more. They are each in their own category which makes it incredibly easy to find what you're looking for. It's also really easy to find a workout that is on your level. They have a foolproof system: Green = easy, Yellow = moderate, red = hard. I was extremely excited to see that they not only have outdoor running and treadmill running categories but they have a 5k all the way up to a marathon specific program. This was a big game changer for me. One of my goals for next year is to do a 10k. I've been running for 2/3 of my life and somehow I've never done a 10k race, I've also never done a real training plan. I did what my coaches told me to in high school, sometimes half-heartedly, and then I did whatever I felt like doing after that. Having a plan gave me another push of motivation to get out the door and going. It also helped me not feel overwhelmed in deciding what I was going to do for the day. All the workouts have a trainer talking you through each workout and music in the background. They explain the moves at the beginning and tell you when to change into the next move. 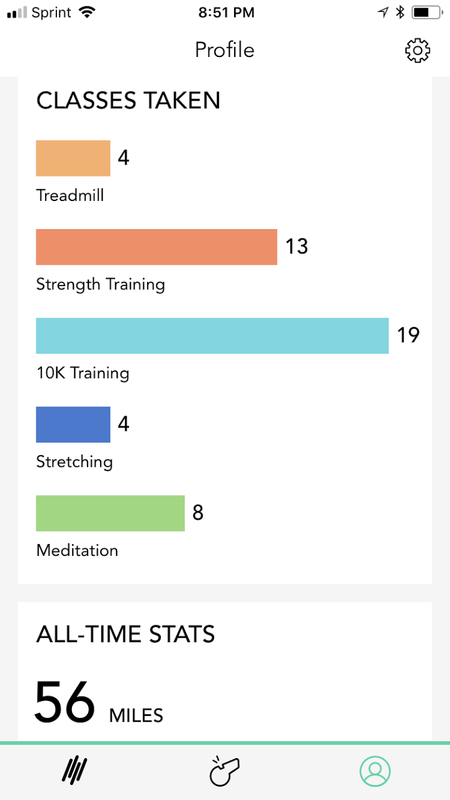 With the 10k program, the trainer is talking you through the whole workout and telling you when your next interval is up. Another thing that I've really loved about the 10k program is that on the endurance runs, she gives you something to think about every few minutes so that you're not focusing on your body getting tired or how much you hate the treadmill. I've loved having the app remind me to stretch after my workouts. I've always been terrible at remembering to stretch...or maybe not even just remembering but taking the time to stretch. Stretching is so important as an athlete because it helps prevent soreness and injury. After every workout aaptiv will ask you to rate the workout and then ask you if you want to take a quick 5 minutes to do one of the stretching workouts. You can opt out if you're short on time, but the reminder to do it since you're already there is a huge help. Another program on Aaptiv that I've really loved is the meditation program. I'll be honest, for a long time I thought meditation was a weird thing and I didn't really want to do anything like that. But after getting this app, I decided to give it a try to help with anxiety. I was so surprised at how much it helped. They have a lot of different meditation coaches. They also have a great kid's meditation that helps your kids calm down after they've had a rough day. When I've had a stressful day or I feel myself going into an anxiety attack, I will turn that on and it helps me calm down so quickly. I could probably do a whole separate post on that. I love that all I need to use Aaptiv is my phone. It makes things so simple to just pick a workout and put my headphones in to get started. I don't have to set up the TV or search a workout on youtube. I'm good to go as soon as the app is turned on. You can see all the workouts that you've done and all the progress you've made, all the miles your run, etc in your profile. 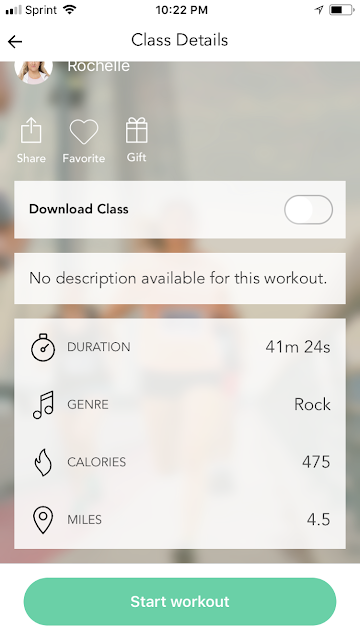 You can also view your favorite workouts and all the classes you've taken. It makes it super easy to find old workouts that you loved or keep track of what you've already done. The Aaptiv app is free and a membership is cheaper than a gym membership. You can start off with a free trial and after that, you can choose your plan. Either you pay $10 month to month, or you pay $8.33/month for a year. The people at Aaptiv was awesome enough give you a month for free so that you can give it a try. Use the coupon code: BURPEES for your free month. 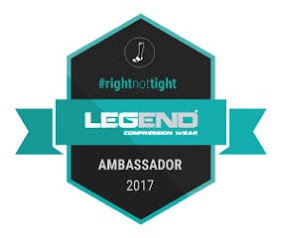 They also shared a link to walk you through redeeming your coupon code HERE. What helps you stay motivated and focused on your goals in the winter? Do you have a favorite workout app?